Meticulous cleaning, polishing and protection for all area of your vehicle from top to bottom, inside and out, using specialist tools and products. We can fully enhance and restore your paintwork by eliminating light scratches and swirl marks that have been inflicted over time and that reflect the light in such a way that they give an unsightly cob webbing effect on the surface of the paint or clear coat. The exterior has to be thouroughly washed and cleaned in order to remove as much dirt and as many contaminants as possible. Foam the vehicle completely and allow it to soak, helping to soften up any dirt and lift it off from the surface prior to pre rinsing. The foam, along with the loosened dirt and grime is then thoroughly rinsed off. Before washing the paintwork, wheels and wheel wells/arches are cleaned as these tend to be the dirtiest and most contaminated parts of a vehicle. Specialist brushes and wheel cleaning products are used to remove grime and baked on brake dust from all areas of the wheels and wells/arches including suspension components, brake calipers, around lug nuts and even from the wheel rears. After the wheels and arches have been thoroughly cleaned, the paintwork is then be washed from top to bottom using plush wash mitts instead of sponges and soft micro fiber towels instead of chamois leathers in conjunction with the two bucket technique and grit guards, which all help to prevent any damage (in the form of light scratches and swirl marks) from being inflicted. The complete wash process time (including the wheels and arches) varies, depending on the size and condition of the vehicle. After washing, paintwork is clayed using a specialist automotive clay bar and lubricant which gently removes any bonded surface contaminants that washing alone cannot remove. This is an important step in the car detailing process as these contaminants can hinder the polishing process and prevent a top quality finish from being achieved. 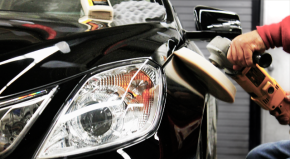 After the paintwork has been properly cleaned and prepared it is then polished to remove any light scratches, swirl marks, hazing, oxidation and other surface imperfections. This is usually done with a rotary or dual action polishing machine as they allow the polish products to be thoroughly worked into the surface and broken down and so generally create better results. The polishing process is usually a multi-step task, as differing abrasive grades of polish are used to correct and refine the finish and it can take a number of hours or even days to complete, again, depending on the size and condition of the vehicle. After being polished and corrected of any imperfections, the paintwork is then protected and sealed. High quality natural carnauba based paste waxes and synthetic polymer sealants are used to provide months of tough, long lasting protection and create an incredible shine. Once the paintwork has been sufficiently polished, enhanced and protected, the other exterior parts are then dealt with. Windows and glass are also polished and protected, as are any metal and chrome parts. Rubbers, plastics and vinyls are revived and dressed to help bring them back to life and protect them from the elements. The wheels and even the brake calipers may also be polished and waxed using designated products which further enhance and protect them and give a level of detail beyond that of a normal vehicle clean. 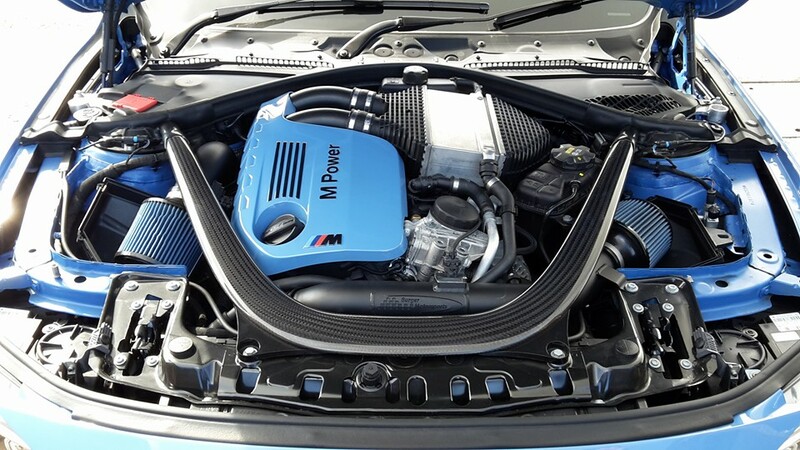 The engine bay area is properly cleaned, polished, dressed and protected using a range of cleaning products and brushes. Upholstery is vacuumed and thoroughly shampooed to remove any contaminants and stains, while also brightening and freshening it up. Headlining is cleaned, leather is thoroughly scrubbed to remove any dirt from deep in the grain and is then conditioned and protected. Plastics, vinyl and trim are cleaned and dressed using appropriate products to revive and protect them from the sun, then the interior glass is also cleaned and polished to give a crystal clear, smear free finish. Every area including even the smallest vent and switch are properly dealt with using a wide variety of brushes, swabs and micro fiber towels to remove the smallest dust particles from the tightest of areas.